In the early 90’s, the continuity of the Saturday morning series Sonic the Hedgehog captured the hearts of numerous Sonic fans. For many, it was their very first exposure to the blue blur. For others, it was the chance to finally see their favorite hero animated on the small screen, even if it didn’t match up with the world they played in the games. Beginning with the second season, a storyline evolved that those who tuned in each week couldn’t wait to find out what happened next. They wanted to know what the future held for these characters, and if they would be able to reclaim their childhood home of Mobotropolis and defeat the evil Dr. Ivo Robotnik. Television, much like comic books, can be a fickle medium. After two seasons the show went off the air, many thinking the comic book would follow suit. After all, how many licensed comics survived their source material? But to the surprise of many in the halls of Archie Comics, the title became more popular once the television series had unceremoniously ended, the four-color pages being the only outlet for those who felt unsatisfied with the cliffhanger ending of the cartoon. Even if the details were different, the future of these characters could be followed. Princess Sally, Antoine, Rotor, Bunnie and the rest could live on. The idea of being able to show the “happily ever after,” though, was still something impossible. If the heroes defeated Robotnik and took back the kingdom, it would mean the end of the comic book as well. Even if the book is its own unique story, it still exists to serve as an advertisement to the games. There was no way Dr. Eggman could vanish from the book completely as long as he was the main antagonist in the video games. Sonic and Sally could not ride off into the sunset. That didn’t mean Ken Penders wouldn’t try to show it anyway. When writing a long form story, the idea of laying the seeds for that final chapter is not unusual. Numerous western superhero comics have had “possible futures” and “what-if endings” published to serve as the final word on a myth they know has to endure, a myth whose very existence prevents a last chapter to take permanent form. Tales such as Alan Moore’s Whatever Happened to the Man of Tomorrow? prove poignant farewells to classic characters can never actually be accepted as “canon,” the very next month Superman getting into a struggle which would make Moore’s final story impossible. Unless a fictional universe is controlled by one author, very rarely do you get that moment where you can finally send King Arthur out to sea. 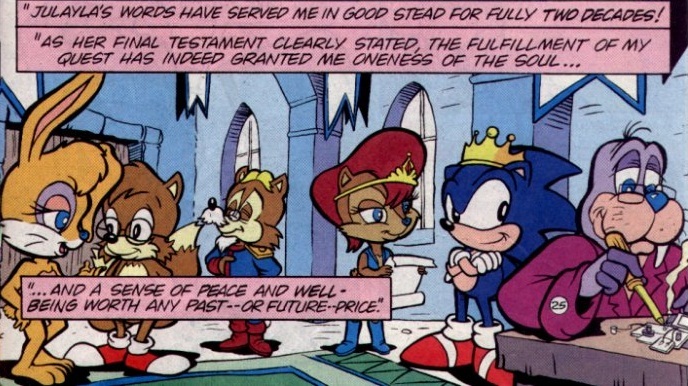 Ken Penders’ take on the Freedom Fighter’s “happily ever after” did not begin with the first part of Mobius: 25 Years Later. 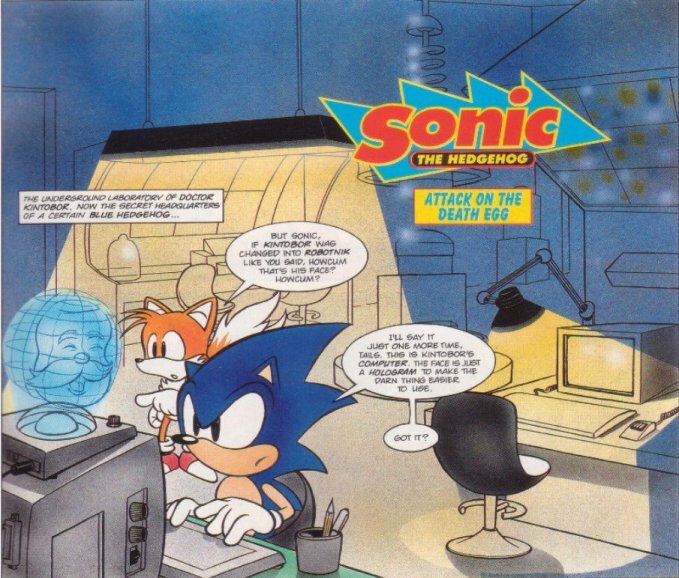 The first glimpse into this “possible future” actually took place in Sonic: In Your Face!, the first of the many 48-page specials Archie would publish featuring Sonic the Hedgehog. The lead story? The final of the three part Princess Sally’s Crusade. Backup stories in Sonic #17 and #18, it opened with a strange orb falling from space at the same time Sally’s teacher and mentor, Julayla, was on her deathbed. Julayla, a character not from the show and invented for this story only, attempted to deal with loss in a subtle way, and Ken was probably allowed to do it by the powers-that-be simply because it was a character no one had heard of before. The story for In Your Face picked up with Sally heading out on a personal quest left for her by the deceased Julayla, the Freedom Fighters tagging along. Venturing into the Forbidden Zone, the gang tackles feats of both strength and mind until they reach the final chamber, Sally being rewarded with a scroll, something she doesn’t understand as the young leader of the Freedom Fighters. That is when we are first given that quick look into the future: Sonic and Sally married with kids, King Acorn rescued, Bunnie derobotocized, the entire gang together in the Castle of Acorn. And the orb? The story opens with the orb revealing itself to be NICOLE, the handheld computer that had yet to be introduced in the comics. Given a mysterious origin, it would not have been shocking if Ken had left the computer’s backstory open for years or even let another writer tackle it. Instead, it was revealed that NICOLE was actually created by Rotor in the future. Having been instrumental in the final defeat of Robotnik, NICOLE was forced to sacrifice herself to ensure victory, her futuristic technology becoming lost in the process. For years Rotor attempted to reclaim that technology, and along the way time travel was discovered in some form, at that moment Sally realizing that she was the one who had actually sent the computer to herself in the past. A built-in time loop that some might call a paradox. Time travel, even for inanimate objects, is a funny thing. 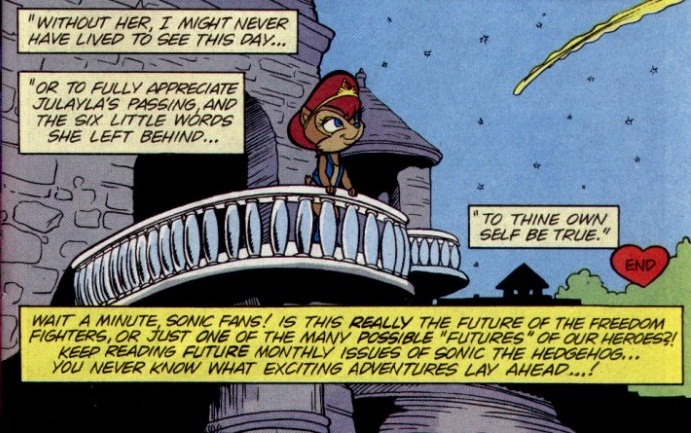 When Mike and I threw in that bit about the future of the Sonic characters at the end of PRINCESS SALLY’S CRUSADE, we had no idea of what the future held in store other than establishing certain basic premises on that one page. We simply wanted a happy ending that delivered a proper payoff to the story. Wanting a happy ending for a comic like Sonic the Hedgehog isn’t shocking. To be fair, I don’t think SEGA would ever allow a sad ending in the pages of the comic. These are the same people that, for years, had issues with Sonic showing any emotion beyond super happy and extreme apathy. Don’t want those kids thinking crying is cool, after all. The sequence he mentions in Sonic #22? 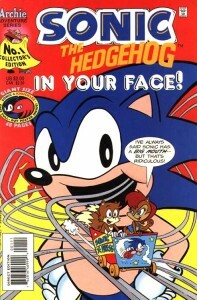 The previous issue had a cliffhanger in which it looked like Robotnik had bitten the big one at the hands of one of his own creations, when in fact he had simply been shot forward into an alternate universe. Materializing in a field where King Sonic and Queen Sally are enjoying their leisurely day, he doesn’t have enough time to comprehend the situation until he is transported into a satellite orbiting the planet. Upon that satellite? The digital remains of Robo-Robotnik, a Robotnik from another dimension who had subjugated himself to the roboticization process when it looked like he was about to be defeated. The same Robo-Robotnik who had been the main villain of Sonic #19, “Night of 1,000 Sonics,” which saw the return of Evil Sonic and the Cosmic Interstate from Sonic #11, the issue already cited as one of the starting points of Mobius: 25 Years Later. See how this all ties together? Just like Ken said, the idea of visiting the future was put aside. The comic was just hitting its stride, finding its voice that would set the tone for the years to come. 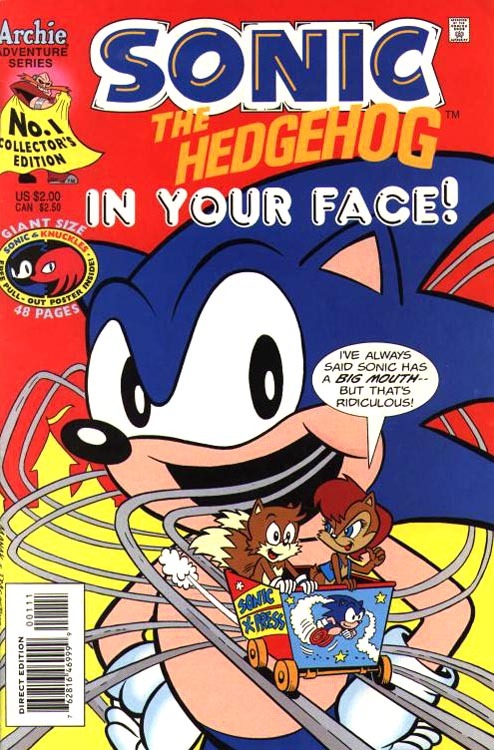 While there were still stories written in the style of the very first issues that tried to emulate the slapstick humor of Adventures of Sonic the Hedgehog, Ken and sometimes-co-writer Mike Kanterovich were leaning more towards the style of the Saturday morning series, trying to create a serious take with humorous elements instead of humor tales with the occasional moment of drama. When the book was initially produced, Mike Gallagher and Scott Shaw! were basically given a directive to create a book based on both animated series being produced by DiC, as well as the first two SONIC games. This format was pretty much adhered to until Mike Kanterovich and I came along as it had proven to be a popular one when Mike and Dave Manak worked on the ALF series for Marvel. 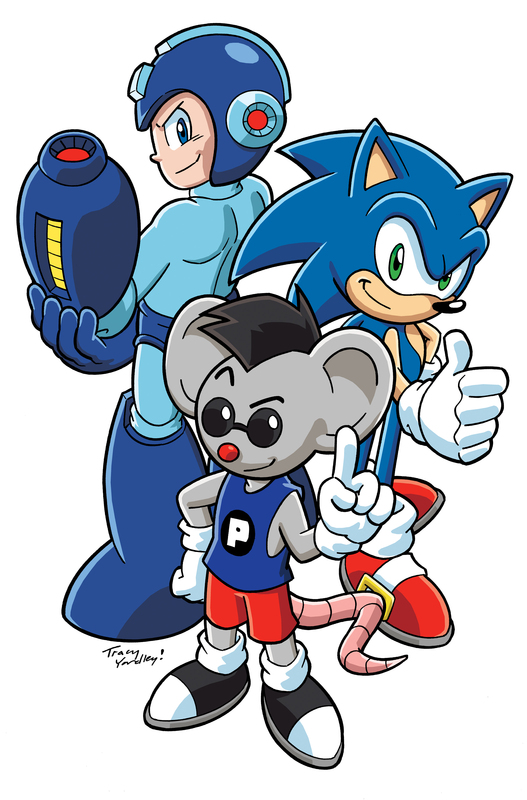 Our initial stories were likewise produced with this format in mind as we were directed to, but once we sold the first several stories, two things happened: 1) I sat down and watched the SatAM episodes I had recorded on videotape for my son, and 2) Editor Scott Fulop took control of the book. News of the animated series’ cancellation came as Ken was working on the outline of Sonic #36, which prompted Ken to take a new direction in what he was writing. Earlier on in the series, Ken had found that he hadn’t been allowed to write a long-form, multi-issue story beyond the scope of two-parters such as #21 and #22, simply because he was forced to share the title with other writers like Mike Gallagher and Angelo DeCesare, taking turns with each issue. By this point, however, Ken had become, in the eyes of many, the premier writer of the series, his work praised by fan letters sent in from around the country. Realizing time was running short and that he didn’t want the comic to end like the show, Issue #36 became the story of how Sonic and the Freedom Fighters discovered King Acorn in the Zone of Silence, laying the building blocks for the events that would lead up to the 50th issue. 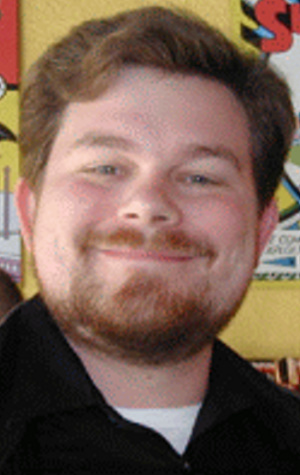 While the other writers for the comic still had work (such as Gallagher’s Mecha Madness arc), Ken’s vision was the driving force behind everything that was to come, in order to give the series a proper conclusion. As history shows, the road to Endgame took a far different turn, not because of the comic’s cancellation, but instead an outcome that no one on the series was expecting. With the series safe from cancellation, the matter of what would be done next in the story was soon on the table, among other things what would be done with Princess Sally. 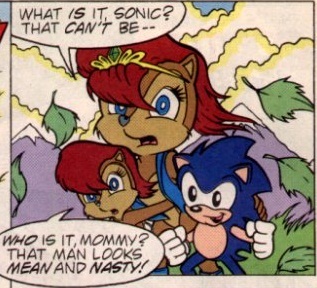 The core of the Endgame arc, aside from being the “final battle” between Sonic and Robotnik, was Sonic being framed for Princess Sally’s death in Issue #47. If the comic was to end, doing something as dramatic as killing off a main character was fair game, but if the series were to continue…well, suddenly everything had to be rethought. One question no one has bothered to ask over the years is, if the comic hadn’t been saved from cancellation, how the final scenes in Issue #50 would have played out. Would Princess Sally still have been awoken from her glass tomb? Would there have been a huge tease about Snively at the end? It’s possible that Ken didn’t get the chance to script the final issue before news came that the comic was still going to be published well after the milestone issue. More than likely it would have been different, since Ken had intended for Sally to remain dead. It’s been talked about in numerous interviews how the original concept of going beyond Issue #50 was to lay subtle clues that something wasn’t right about Princess Sally, the big reveal having the Freedom Fighters discover that at some point Sally’s body had been switched with a robot duplicate, her really having died in the beginning of Endgame. Like Ken said, he was talked out of actually killing her, but this does raise one interesting fact – the future of Mobius? It was never set in stone. By originally planning on having Princess Sally die in the intended final issue of the comic, the “happily ever after” future of Sonic: In Your Face! could not have come about. 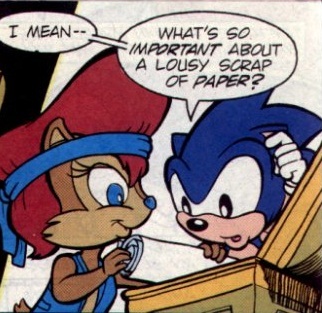 Sonic and Sally could never get married and have kids, Sally could not be the one to realize she sent NICOLE into the past to save herself, and even NICOLE’s destruction would not have happened, as the computer was not used in that final confrontation. Ken was far less concerned about keeping his future stable and more concerned with telling a good story at this point. The future was not decided in any capacity, and when Ken could have easily revisited the future in this “final chapter,” he chose not to. What’s interesting to note is that, for many people, this era represents the high point in Ken Penders’ writing career for the series. While he still had room to tell his stories, having everything set to be done by #50 created a set deadline. Certain story beats had to be met, a logical progression from the status quo to set up Endgame. World building could be done, but only in a short span of time. The comic still had to focus on action and adventure. What’s funny is that while what Ken wrote before and immediately after Endgame is considered by fans of the comic to be solid storytelling, the arc itself still causes argument. At the time, it was hated, though most fan outcry was not at the story but the fact Princess Sally was presumed dead. Even after she was brought back to life, the 50th issue was still a source of contention, though some of that was alleviated with the Director’s Cut published in Sonic Super Special #6. Even with the final issue redone, the series was the first moment where Ken’s pacing could be questioned. With so much crammed into that final issue, Ken was clearly trying to emulate the big-event comics that had become commonplace by this point at other companies. Succeeding in certain regards and faltering in others, it is hard to argue that Endgame was bad – especially if the source of the argument is Princess Sally’s original fate. The role of Dulcy being “an ear of truth” and exonerating Sonic’s framing of her attempted murder still rubs me the wrong way, an easy fix for a problem that could have been resolved in a much different way. After all, Robotnik showing up in Knothole and revealing he had planted a fake King Acorn should have been enough, word getting back to Geoffrey St. John of the treachery. Even if Geoff was still unsure of who to believe, he could have held off on recapturing Sonic until the facts were cleared out. And the fact that Sally, whose last memory was seeing Sonic try to kill her? Then waking up, unable to wait to make out with the hedgehog? A bit of a stretch there. Right, this isn’t a review of Endgame. Needless to say, stretching out certain sequences and rushing others were simply a precursor to Ken’s later writing style. With the freedom to do what he wanted in Knuckles the Echidna, a spin-off series focusing on the Guardian of Angel Island, Ken’s storylines became far more ambitious, introducing numerous characters and planting seeds for comics he was planning years ahead of schedule. With the cancellation of his playground, he tried to resume Knuckles’ story in the main Sonic comic, but it was clear he was unable to reel himself back to the more compact stories from the earlier days in the series life. A storyline with Knuckles losing his people, finding them again, dying and coming back to life…a storyline that was planned for four times the amount of space, and suffered because of it. A mindset that continued into the development of Mobius: 25 Years Later. Once intended to be a one-off story in a single special, it ballooned into…well, we’ll get into that tomorrow. Archie comicsKen PendersM:XYLRotor Loves His RobesThere's A Lot Of Sally Isn't There?